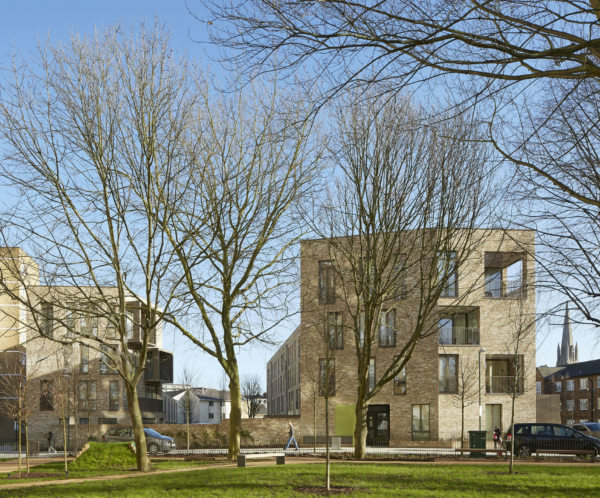 Alison Brooks Architects’ scheme for this 43-dwelling residential development forms part of the South Kilburn Estate Regeneration Masterplan for the London Borough of Brent. The project is intended as a catalyst for social and urban transformation, a contemporary interpretation of 19th century housing typologies and street patterns. 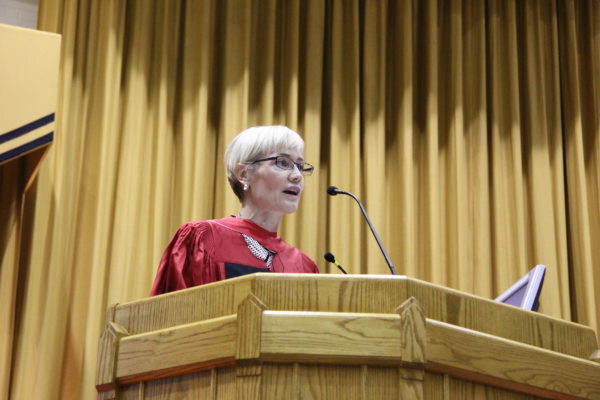 Saturday 18th June 2016 Alison Brooks received an Honorary Doctorate of Engineering from the University of Waterloo, Canada after giving the convocation speech to over 5,400 graduating students during the ceremony. Alison will discuss her practice’s current work, revealing their synthetic approach to the making of buildings and the making of cities, in the context of London’s resurgent urban culture. 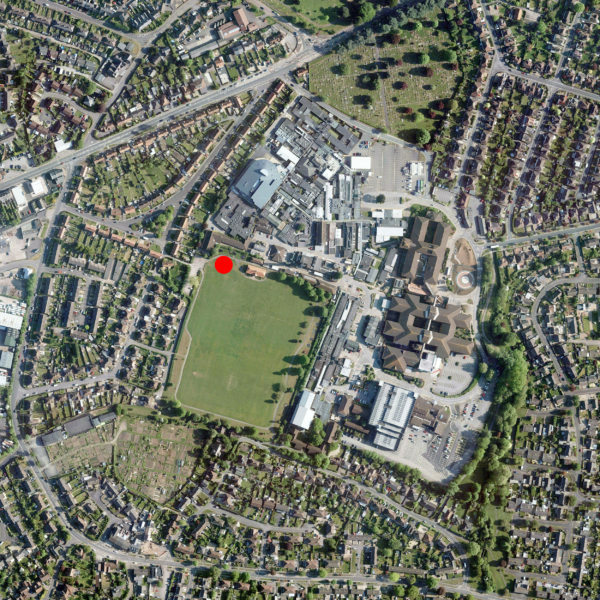 Alison Brooks Architects will join South Kilburn Estate Regeneration collaborators Lifschutz Davidson Sandilands and Brent Council to speak at the Housing Design Award Seminar 2016: Beyond Housebuilding. Tickets are now available for the annual Housing Design Awards seminar, featuring in-depth discussion of innovative approaches to housing procurement and design – from consumer responsive offsite production, to custom-build and co-housing, and local authority direct commissioning. 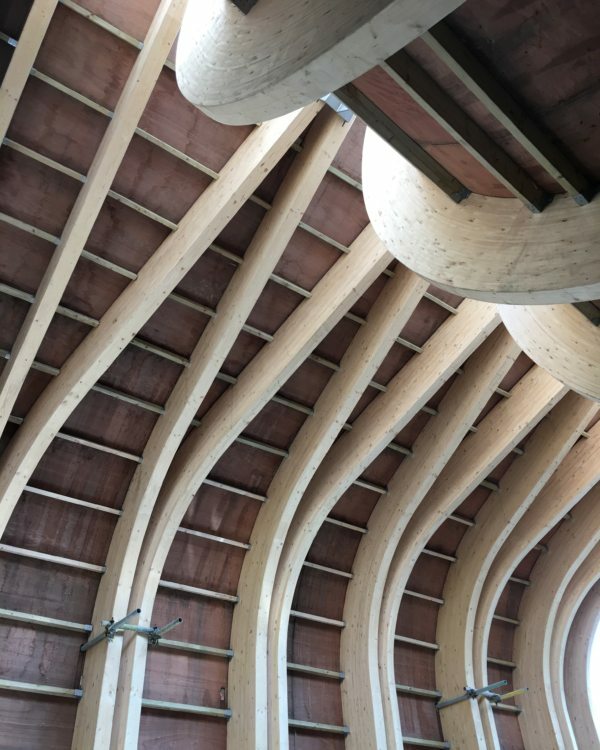 A Glued Laminated Timber (glulam) cloister is being installed at ABA’s Cohen Quad for Exeter College, Oxford. 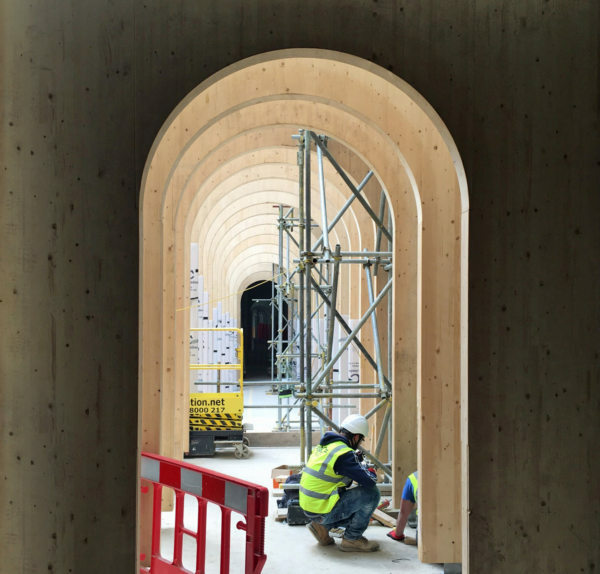 This cloister will form part of a three dimensional ambulatory – a narrative route that connects the college’s public and courtyard spaces with a series of amphitheatre staircases, landings and garden walks – places for gathering and scholarly exchange. Alison Brooks is a jury member for this annual prize, which North Carolina Modernist Houses created in honour of George Matsumoto, one of the founding faculty members of North Carolina State University’s College of Design. Matsumoto created some of North Carolina’s most well-known and well-loved Modernist houses. There is also a People’s Choice vote. Alison Brooks Architects’ Ely Court has been shortlisted for a New London Architecture Award 2016. All category winners, Overall Winner and the New Londoner of the Year will be announced on 7 July at the NLA Annual Lunch at the Guildhall, attended by 700 of the capital’s leading decision-makers and professionals across development, design, planning and construction.